Those shiny bright areas in our product shots can cause real headaches. Fortunately, there are some excellent retouching tools in Aperture 3 to help us tame those highlights. Applied individually, or as a group, they will enable you to restore detail in areas where you thought all hope was lost. In this 5-minute tutorial from my latest lynda.com training, Enhancing Product Photography with Aperture, you'll see how easy it is to make your product shots shine... with detail. In this title, I also share tips on how to set up your shots (saving on post production time), plus wrangling with color, depth of field, and more. To learn more about Aperture in general, check out my Aperture 3.3 Essential Training (2012) on lynda.com. 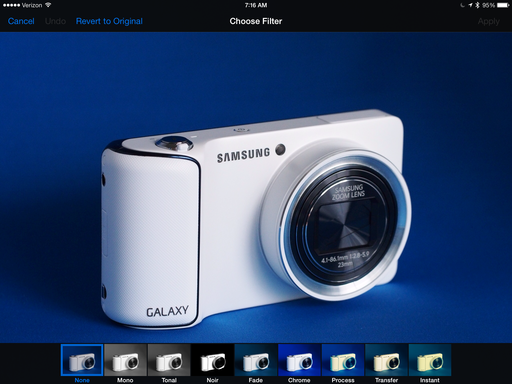 For people shots, try Portrait Retouching with Aperture. And for making the transition from iPhoto, I have Using iPhoto and Aperture Together. I have a 19" SizzlPix hanging in the kitchen at the TDS Studio. The image was captured with my iPhone 4S. It looks great. I don't normally make big prints from my smartphone camera. Typically I share them on Instagram, Flickr, Facebook, and here on The Digital Story. But it's good to know that if I wanted to make a big print, I could. 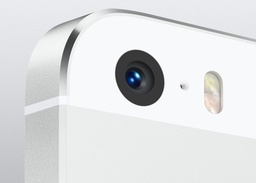 And at 8 megapixels or more, I can. After 8 megapixels, the conversation turns to quality of image. That's the holy grail of digital photography: the better the quality, the more options you have. In a terrific article over at DP Connect, How many megapixels do you need?, they break down the math that leads us to the 8 megapixel minimum for serious smartphone photography. It's an excellent post that you should read. Those of us who shoot with iPhones are hoping that Apple's approach to the redesigned camera in the new 5S lives up to their marketing. On paper it looks good: Increase the size of the photo sites, improve the lens, beef up the processor - that's a proven formula for better image quality. 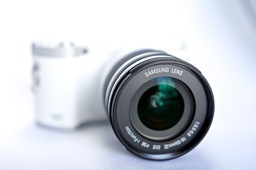 If I had to choose between better image quality and more megapixels, which would I prefer? I'm going with image quality. I don't need bigger files; I want better files. We'll know soon enough. I have my iPhone 5S ordered, and it will arrive next week. I think the iPad is a great way to make the acquaintance of iOS 7. Generally speaking, our tablets aren't as mission critical as our phones, so there's less stress as we learn new ways to work. There's been plenty of discussion about the redesigned user interface. On my iPad 3 with Retina Display, I think it looks good. I'm still learning where to find certain controls. And there are moments when it feels like someone handed me a different remote to my TV. But with the bigger iPad screen and an attitude of play instead of work, the experience has been anxiety-free so far. The new Photos app is definitely an improvement. It feels more grown up. The organization is improved with Collections and Moments. Albums worked as before, including access to your Photo Stream. And we have new filters to play with in Edit mode. You might want to check out iOS 7: What Apple's new mobile operating system offers photographers on DP Connect for a few more ins and outs from a photographer's perspective. Put yourself in position to enjoy the transition. By easing in to it on a non-mission critical device, you can get to know Apple's new iOS, identify the speed bumps, them move it to your important devices when you are ready. Google+ users who favor the Chrome browser have an entire set of online editing tools waiting for them. To experiment with what looks like Snapseed for the Web, I opened up this wonderful image by photographer Kitty Gallannaugh. Beautiful pictures are just more fun. 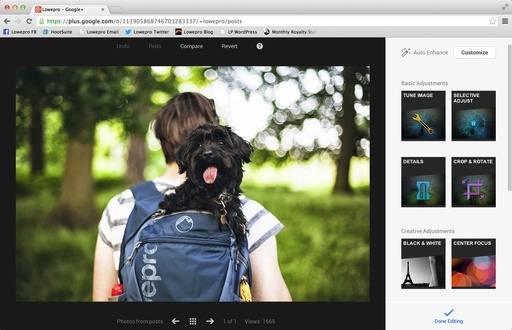 To get started, open your image in Google+ and click on the Edit link at the top of the page. A new column appears on the right with Snapseed like icons. The tools range from basic image adjustments to frames and tilt-shift effects. The effects are shown in realtime. You can apply the look you want, or cancel and move on to another set of tools. At the top of the window you have four additional controls: Undo, Redo, Compare, and Revert. So you're in complete control of the appearance of your photograph. Once you have the image adjusted to your liking, click the Done Editing link at the bottom of the page. If your image has been shared with others on Google+, the changes you make will be applied to those pictures too. That's pretty wild, when you think about it. This capability works nicely in a mobile workflow. You can get your images posted quickly in the field to the best of your ability. Then, if you decide later that you want to adjust it while reviewing on your computer, you can do so without having to upload another version. You will need Google Chrome to access the tools. BTW: This image by Kitty Gallannaugh remains in its original state. Some things you just don't mess with. The thing about colored backgrounds, sometimes they get a bit too intrusive. Fortunately, it's very easy to adjust not only the color, but the brightness and saturation of your backdrops... without affecting the subject itself. In my lynda.com title, Portrait Retouching with Aperture, I have the following tutorial to help you get your backgrounds just the way you want them. In addition to Portrait Retouching with Aperture, you may want to check out my other Aperture titles, including Aperture 3.3 Essential Training (2012), Using iPhoto and Aperture Together, and the latest, Enhancing Product Photography with Aperture. Also, take a look at our Aperture 3 Learning Center. Tons of free content about how to get the most out of Aperture. I've seen wildlife photographers use a Fresnel lens to extend the distance of their shoe-mounted flash. 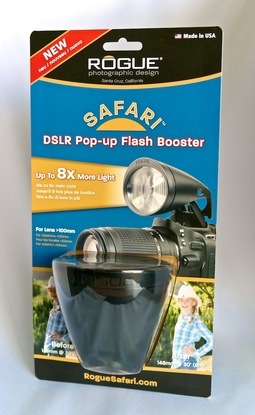 But I haven't seen an accessory that effectively extends the distance of the humble pop-up flash... until now. The Rogue Safari Flash Booster ($34.95) is the model of simplicity, that really works. It's brought to us by the designers at Rogue, who also created the popular FlashBenders. 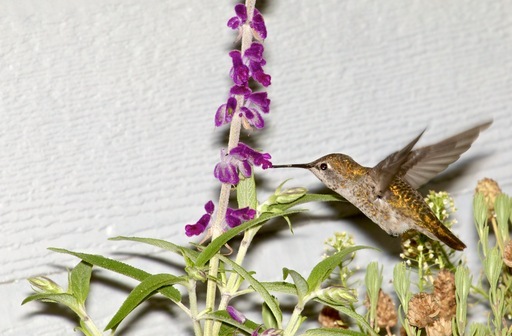 My quest was to capture a photo of a hummingbird that frequents my garden at the back of the studio. I mounted the Safari on my new Canon 70D, then activated the pop-up flash. After a bit of experimentation, I settled on full power manual flash mode, Aperture Priority exposure (f/14 at 1/60th), and ISO 200. I used the Canon 70-200mm f/4 at 200mm. What I found so impressive was the intensity of light output from my humble pop-up flash. The hummingbird was feeding about 12 feet away. I had to stop down to f/14 in order not to overexpose the shot. And this was at ISO 200. I cropped the center part of the image for better impact, but even after cropping, I still have a 6MP image captured from distance. The Safari Flash Booster works best at 100mm or greater. It's designed for both Canon APS-C and Nikon DX DSLRs, and it weighs only 2 ounces. 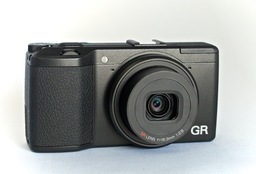 If the pop-up flash isn't centered inside the housing, Rogue includes a 5mm and 8mm spacer to improve alignment. 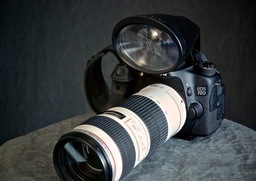 You can use it in TTL flash mode or manual. In my testing, I preferred manual flash mode so I could control the output. I'm going to continue testing this accessory, including during an upcoming shoot at Safari West African animal preserve in Santa Rosa, CA. But based on my initial results, I have to say that the Rogue Safari Flash Booster is a clever, well-designed accessory that potentially has a variety of applications. I finally have a comfortable way to hold my DSLR while working in the studio or in the field. The Joby UltraFit Hand Strap with UltraPlate ($49.95) is the most comfortable strap I've used on my Canon 5D Mark II, 60D, and now 70D. Here's the kicker. The hand strap comes with the Arca-Swiss compatible UltraPlate. 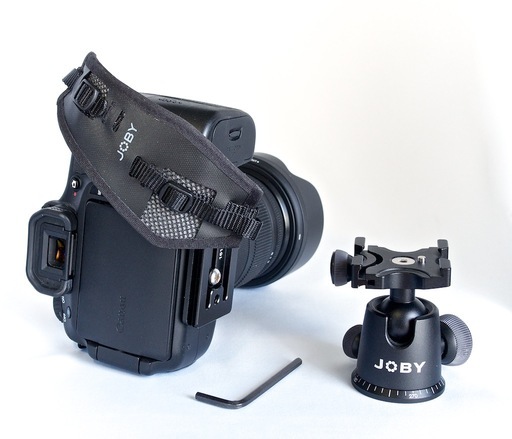 I have the Joby Ballhead X mounted on all of my travel tripods and monopods. When I need to secure the camera, I just slide it into place. No fuss! I don't have to remove the hand strap to use any of my stabilizing devices. In fact, I never remove the hand strap... because I don't need to. 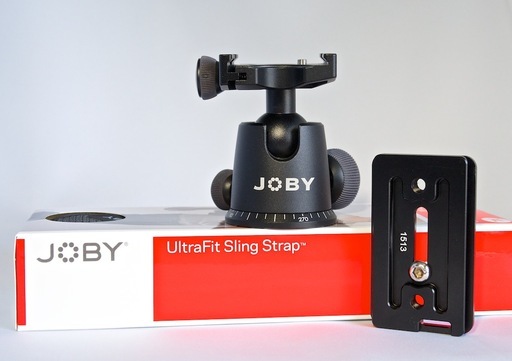 Even if I need to use a sling strap for an event shoot, I simply add the Joby UltraFit Sling Strap ($31.75 - XXL and women's size available too). The sling strap screws into the UltraFit plate. The UltraFit system has finally allowed me to toss my uncomfortable neck straps and wrist-burning hand straps. Plus I like having the Arca-Swiss compatibility. Even if I didn't want to use Ballhead X, there's a wide variety of tripod heads that work wonderfully with this system.